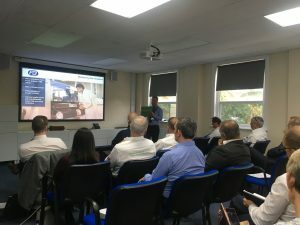 The P&B team was pleased to welcome a delegation of visitors to its headquarters in Manchester this week with a Manufacturing Connect event organised in collaboration with – the manufacturers’ organisation EEF. Managing Director, Phil York presented delegates with an overview of how P&B’s technologies work and the value that they bring to its customers. Delegates were also able to learn about the company’s long and impressive journey over recent decades through investment and growth. 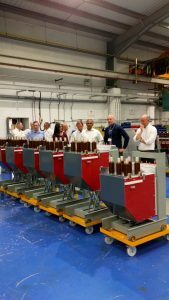 A tour of P&B’s production facility enabled the visitors to find out more about its fabrication of new and retrofit Medium Voltage Switchgear. 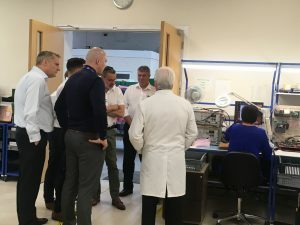 They also learnt about P&B’s Protection Relays assembly process, including its rigorous testing procedures and in-house PCB production capabilities. Richard Halstead of EEF rounded up the event with an update on the state of UK manufacturing including the latest news on the Brexit negotiations and its potential impact for manufacturers.